Author, speaker, workshop and seminar leader and creator of the Ungame, the world’s most popular communication game, Rhea Zakich has been interviewed on more than 500 TV and radio programs and has addressed audiences throughout the United States and Australia. Her dramatic story has appeared in every major newspaper and publication. 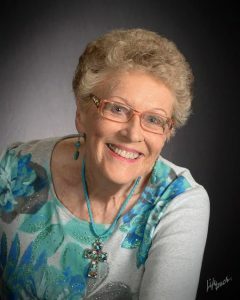 The winner of many community service awards, Rhea has been featured in Reader’s Digest, People, Guideposts, Redbook, Today’s Christian Woman and Psychology for Living. Rhea is gifted at the art of touching the human heart as she draws from her own unique experiences, blending humor with simple but powerful insights. She speaks on a variety of subjects and customizes her talks to the occasion. Her enthusiastic presentations encourage, enlighten, entertain and touch the heart of every age, leaving a lasting impression and she has led hundreds of workshops and retreats for all denominations. Rhea is a Speaker, Workshop and Retreat leader, and has taught a weekly Bible Study for 125 women called the Women’s WorkOut, for eight years. She is also the creator of the Ungame, an amazing communication game in its 50th year. Rhea has been a member of the Association of Christian Therapists since 1986.